INDIANAPOLIS -- Juan Pablo Montoya insisted he had the best car in the Team Penske stable - even to his three teammates, who all believed they were legitimate contenders to win the Indianapolis 500. As they ribbed each other during a Penske event about the traditional victory swig of milk, Montoya interrupted the debate with an emphatic declaration: "I don't understand why you are arguing - I'll win it, and I'll let you drink the milk." The 1st annual Philadelphia Veterans Day Parade aired live Sunday, November 8, 2015, on 6abc. In the end, he kept that whole bottle for himself. Showing the same confidence he did 15 years ago when he routed the field, Montoya sliced his way from the back to the front twice on Sunday to win his second Indianapolis 500. 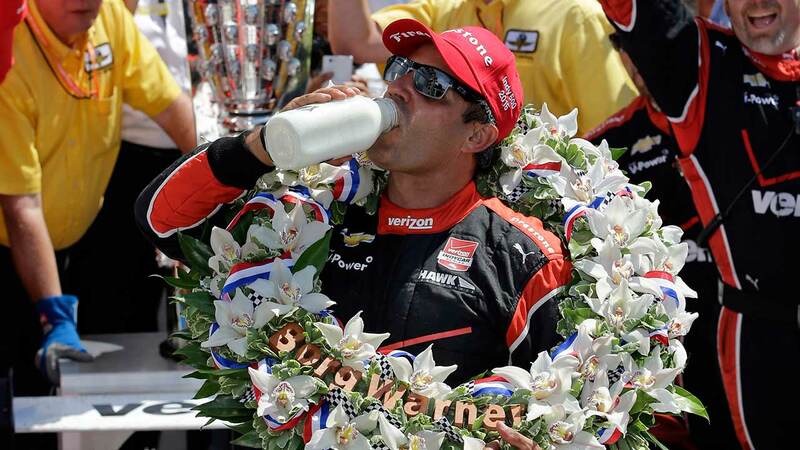 "This is too much," he said in victory lane, the winner's wreath around his neck and the traditional bottle of milk in his hand. Flanked by his three children, he looked everywhere for his wife. It was a far different scene from 2000, when the fearless Colombian was single, childless and using Indy cars as a stepping stone to Formula One. 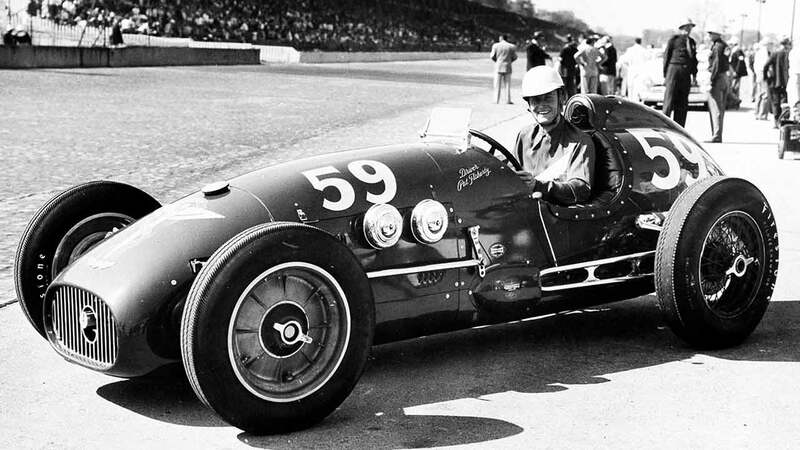 But his career has been a series of ups-and-downs since then - through F1, NASCAR and finally back to IndyCar with motorsports icon Roger Penske. His win gave Penske his 16th Indianapolis 500 win, and first since Helio Castroneves in 2009. Penske also joined Chip Ganassi as the only owners to win the Daytona 500 and the Indianapolis 500 in the same year. Ganassi did it in 2010; Joey Logano won the Daytona 500 for Penske in February. Penske and Ganassi drivers led the majority of the laps on Sunday - 193 of the 200 - and turned the final restart with 15 laps to go into a three-car thriller between Penske teammates Montoya and Will Power, and Ganassi driver Scott Dixon. "Ganassi was so strong all day long and they had a smart driver in Dixon," said Penske, who noted his drivers "played fair" the entire race with each other. It was thought that the leader on the final lap would be a sitting duck, but Montoya didn't care as he charged past Power with three laps remaining and stayed out front until the checkered flag. "Montoya got that last run and maybe I was a bit nice to him into (turn) 1 and lifted," said Power. "That was some serious racing there, a lot of fun." Montoya, sometimes surly and scowling, grinned ear-to-ear Sunday as he reveled in his return to relevance. He's the IndyCar Series points leader and now has two wins this season. "This is what racing in IndyCar is all about - awesome racing all the way down to the wire," said Montoya, who won just two Sprint Cup Series races in seven seasons driving for Ganassi in NASCAR. Montoya started 15th but an accident on the opening lap led to a lengthy caution and he was hit from behind by Simona de Silvestro during the yellow period. It damaged his rear bumper cover and he had to pit for repairs, which dropped him to 30th on the restart. After picking his way through traffic, he was back near the front when a penalty for running over his air hose again knocked him deep into the field. Montoya again drove his way back to the front and was mixing it up with Power, Dixon and Penske teammate Simon Pagenaud in no time. He led just nine total laps - far fewer than the race-high 84 by pole-sitter Dixon - but he only had to be out front for the one that mattered. "Montoya coming from all the way in the back - I'll tell you, you give that guy the bit and put it in his mouth ... he doesn't give up," Penske said.